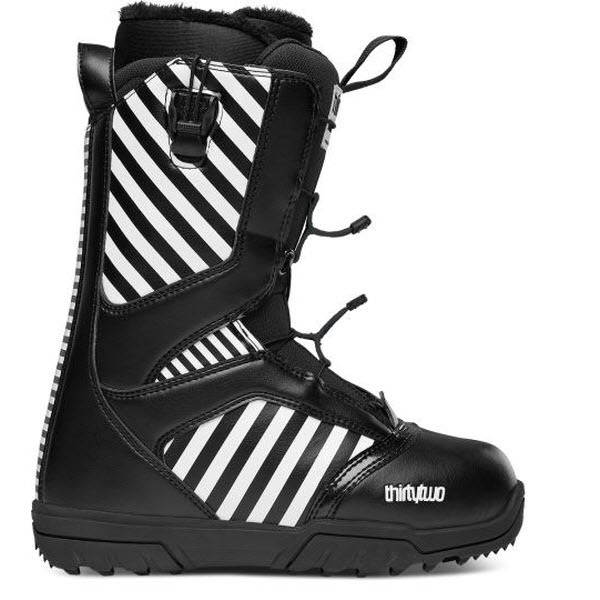 Flex: 3/10; Lacing: Vans Hybrid Boa Coiler System - One-handed micro adjustability; The BOA System allows you tighten your lace quickly and easily for a consistent fit to shred all day; Internal Web Harness - Allows added support for comfortable riding from first tracks to last lifts; Cuff: Pleasure Cuff - Added comfort to hug your calf like no other; Liner: TriFit-X Liner - Dual-density, heat-mouldable core with UltraCush Lite interior cushioning layer; The Liner has an UltraCush Lite internal cushioning layer and asymmetrical X-cage for heel hold; Footbed: V2 UltraCush Lite Footbed - Dual-density UltraCush Lite construction with airflow perforations; The footbed has forefoot and heel impact relief pads and Nylex moisture-wicking top sheet; Instep Flex Zones - Create a ridden in, comfortable feel right out of the box; Heat Retaining Temperature Shield - Thermal heat retention layer between outsole and liner to keep ya toasty; Outsole: Reverse Waffle Outsole - Max boardfeel with one-piece rubber cup sole; Vans' special recipe rubber compound and oversized inverted tread pattern give all-condition traction; Designed to look like a classic Vans skate shoe, the Encore snowboard boots are ready to charge the mountain. Achieve a quick and efficient hold with the Boa Coiler System, a single reel located on the tongue that can be wound to tighten or loosen the lace cable. The reel offers quick one-hand fine-tuning so that you don't have to waste time and can get on with chasing the powder or hitting the kickers. The built-in interior web harness keeps your foot locked down to prevent any pesky heel lift, giving you more response and greater control. 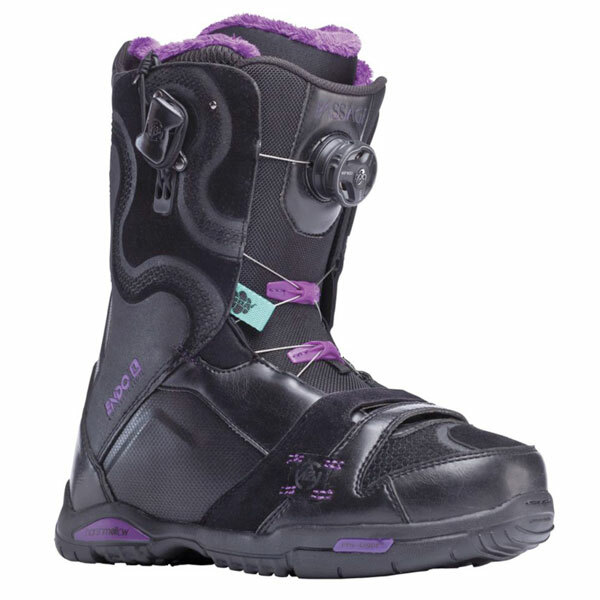 :: Women > Snowboard Boots Size: UK 04,UK 04.5,UK 05,UK 05.5,UK 06,UK 06.5.